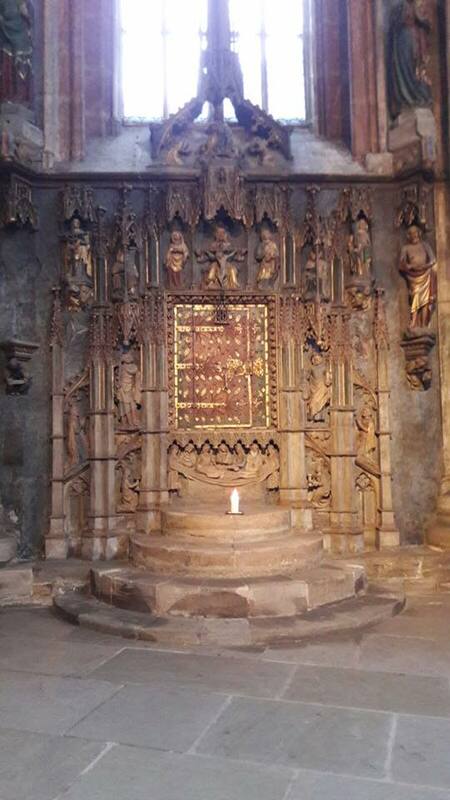 Today is the feast day of St Sebaldus, a rather obscure character who lived as a hermit in a forest west of Nuremburg, in the Franconia region of south central Germany. 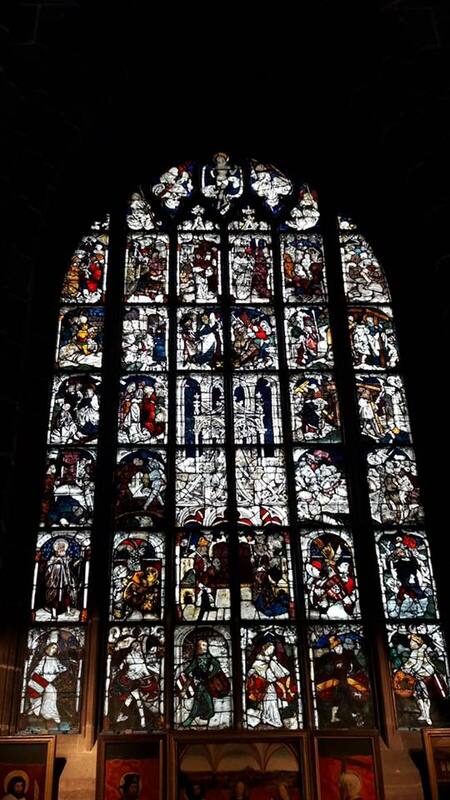 Various versions of his life put him in different periods, some in the mid-11th century, others in the 8th. 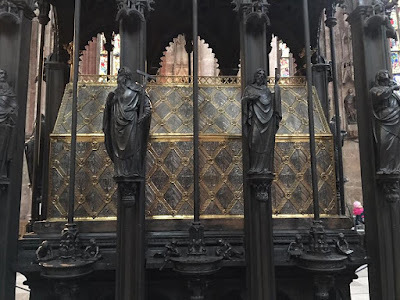 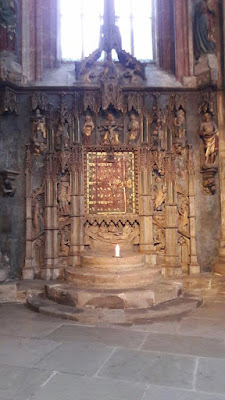 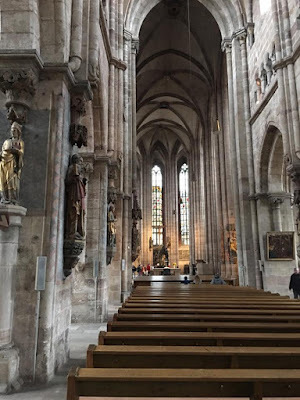 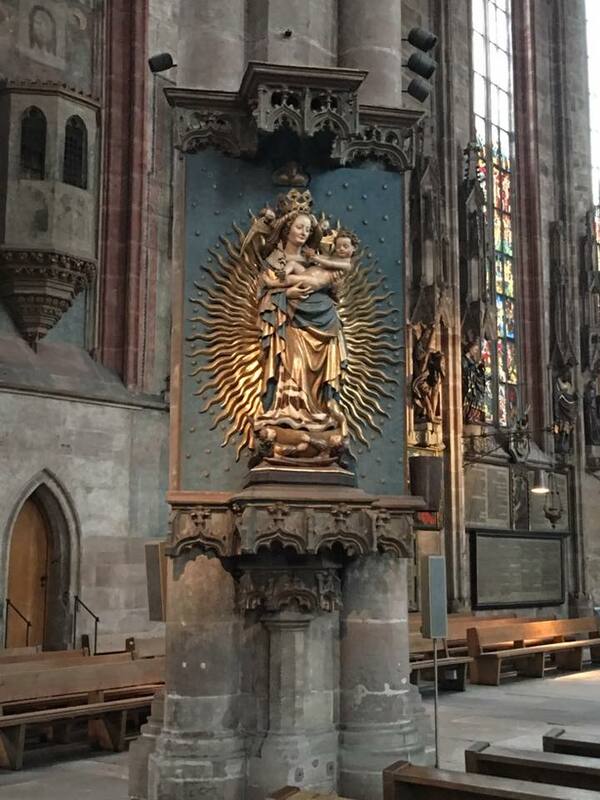 By the middle of the 13th century, he was venerated as a Patron of Nuremburg, and an older Romanesque church dedicated to St Peter was rebuilt, now jointly dedicated to him as well; his shrine-tomb became an important pilgrimage center. 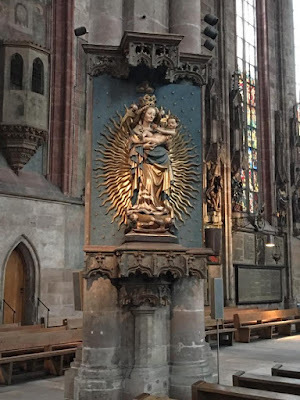 At the Reformation, the church became Lutheran, but neither the shrine nor the relics were destroyed. 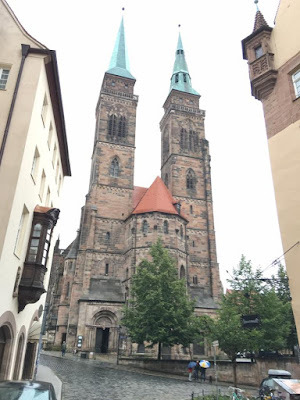 Our Ambrosian correspondent Nicola de’ Grandi recently visited Nuremburg, and took these photos of the church. The earlier, Romanesque phase of the church is still visible in the apse and the lower part of the bell-towers. 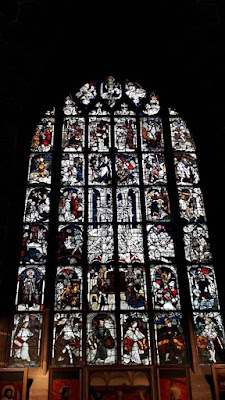 The upper parts date from the 13th century Gothic reworking, as does the nave seen in the next photo. 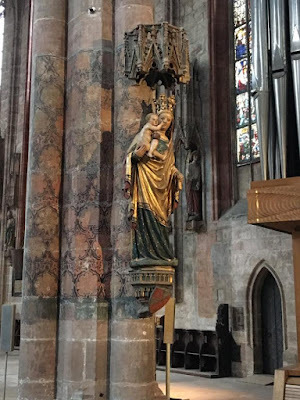 St Sebaldus was formally canonized by Pope Martin V in 1425. 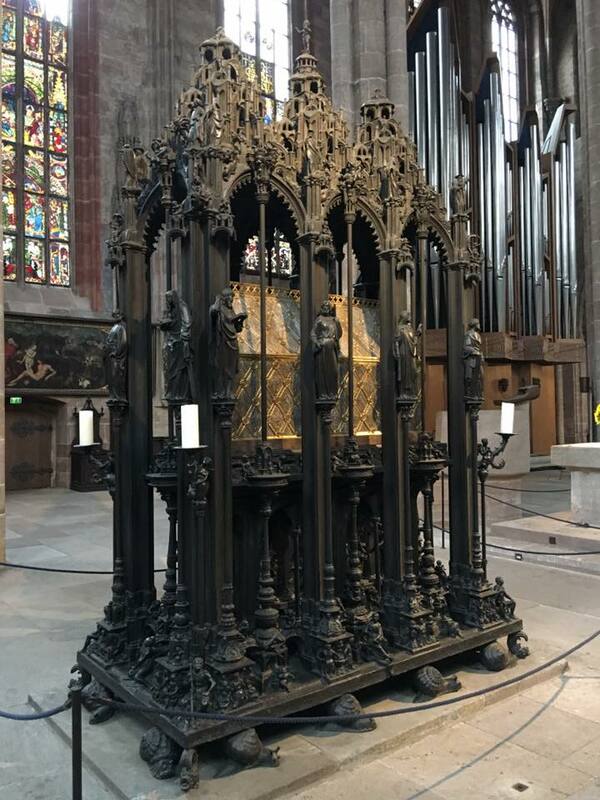 This marvelous bronze ark containing his relics was made by Peter Vischer the Elder in 1509-1519, and is considered one of the masterpieces of the Renaissance in Germany. 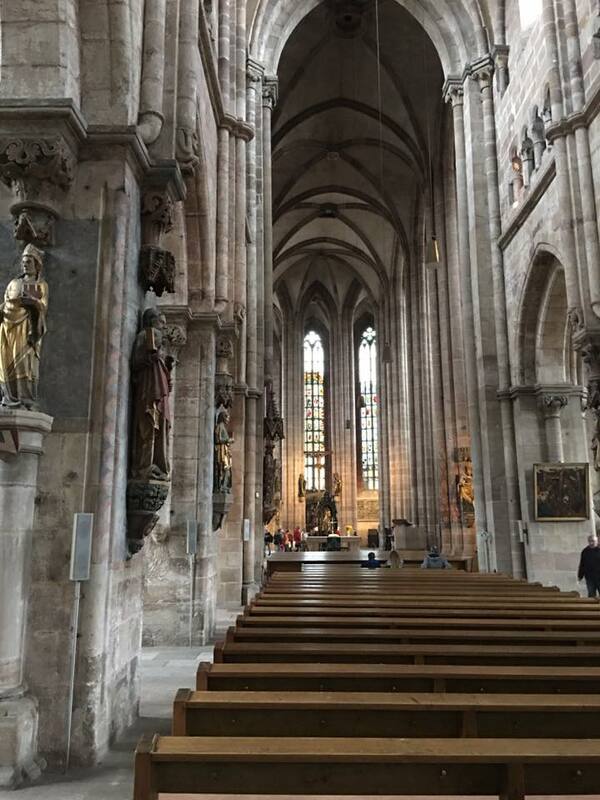 The Gothic structure beautifully blends with the more Italianate elements such as the statues of the Apostles on the pillars. The ark of St Sebaldus is not the only thing that remains from the church’s Catholic history. 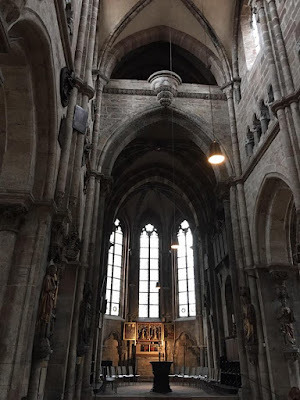 Unfortunately, the building was very badly damaged during World War II, and had to be extensively rebuilt. The former location of the medieval Eucharistic ark.